The end of the year brings with it a big menu of choices for hungry moviegoers. 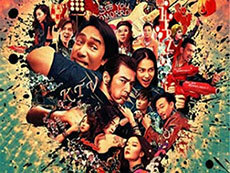 There are the latest productions from big names of China's film scene and others from up-and-coming filmmakers. After Ang Lee's latest film, "Billy Lynn's Long Halftime Walk," and Feng Xiaogang's "I'm not Madame Bovary" hit the big screen, the Chinese film scene is expecting more works from big time filmmakers. All to be released soon are: Actor-turned-director Derek Yee's "Sword Master"; Zhang Yimou's "The Great Wall"; "The Ferryman," supervised by Wong Karwai; and "Railroad Tigers," starring kung fu superstar Jackie Chan. Zhang Yimou's "The Great Wall"premiere dlast week. The film centers on the mysterious origins of the Great Wall of China and what the wall's original purpose was. 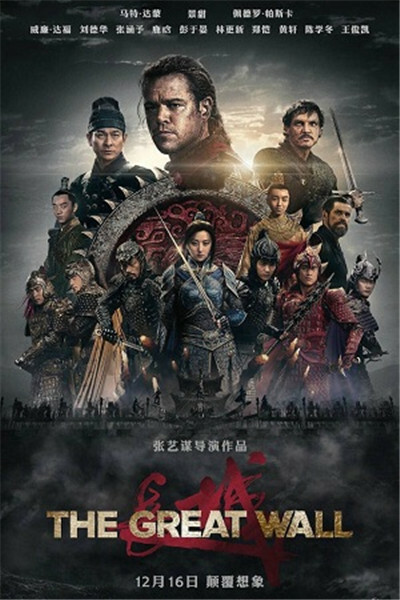 Set in the Song dynasty, the film depicts a Chinese army battling a group of monsters to protect the Great Wall from destruction. An all-star cast has made the film a hot topic even before its general release this coming Friday. "Hollywood has many fantasies revolving around monsters such as the great white shark and Godzilla, but China has few in this genre. But, although this film is a monster genre, it has my own trademark and very strong hints of Chinese culture, just like I did before in my previous films," Zhang said. Some rookie filmmakers are competing with these veterans. Up-and-coming director Zhang Mo, the daughter of Zhang Yimou, brings her work "Suddenly Seventeen" to screens. "For my generation, the biggest changes came when we were at the ages of 17 or 18, to 27 or 28—a period when we grew up very fast. I hope all audience members can find their past selves in my film," said Zhang Mo. "It's rare for a father and daughter's films to appear at the same time. It's a coincidence. But, I think China is surely in need of a greater number of young directors. Only when the numbers go up can there be a tip of the pyramid, can masters come out of them," Zhang Yimou said. Another young director's film, "Blood of Youth," is also set to hit the screen. Yang Shupeng has won acclaim with previous major award-winning films "Inaccurate Memoir" and "The Robbers." Now Yang explores new ways of expression, in the genre of crime thriller. "I'm seeking a balance between expressing myself and letting the film be fun and worthwhile with commercial success," Yang said. Film critics say the young directors should bring to this year's end an injection of positive energy and a life-loving attitude that will make for some new favorites with today's audiences. The end of the year brings with it a big menu of choices for hungry moviegoers.